January. It’s the time of year to challenge yourself 💪 and that’s exactly what some of the folks at Student Beans did this week! We decided to take on the Bear Gryll’s Adventure to see just how tough we are (⚠️warning: we’re not). Yeah this was a pretty intense day out! We were then taken onto an assault course that was fairly tough to say the least. Crawling under nets, climbing walls and shimmying down poles were definitely highlights. This was my personal favourite part of the day (it was pretty chill). We all managed to hit the target and our fitness champ Rebecca absolutely smashed it with 5 bullseyes! After we’d completed Base Camp and taken a well deserved little break, we headed onto iFly. This was definitely the most nerve-wracking experience. 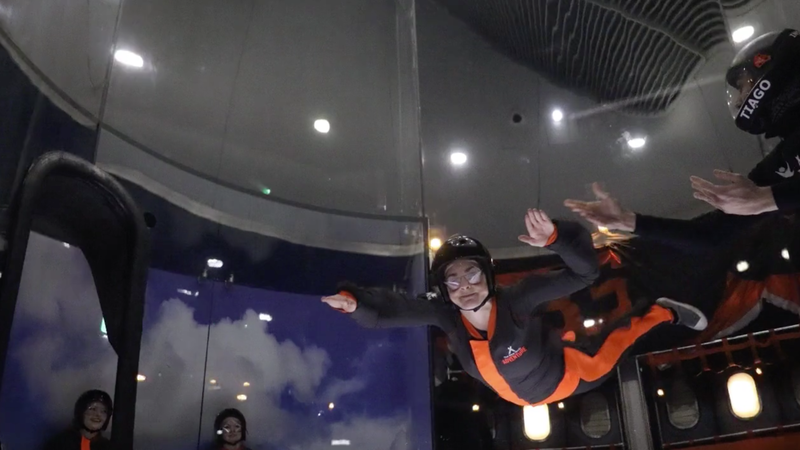 Taking a leap into the indoor wind tunnel got our adrenaline pumping as we got to experience the equivalent free fall time of three sky dives!